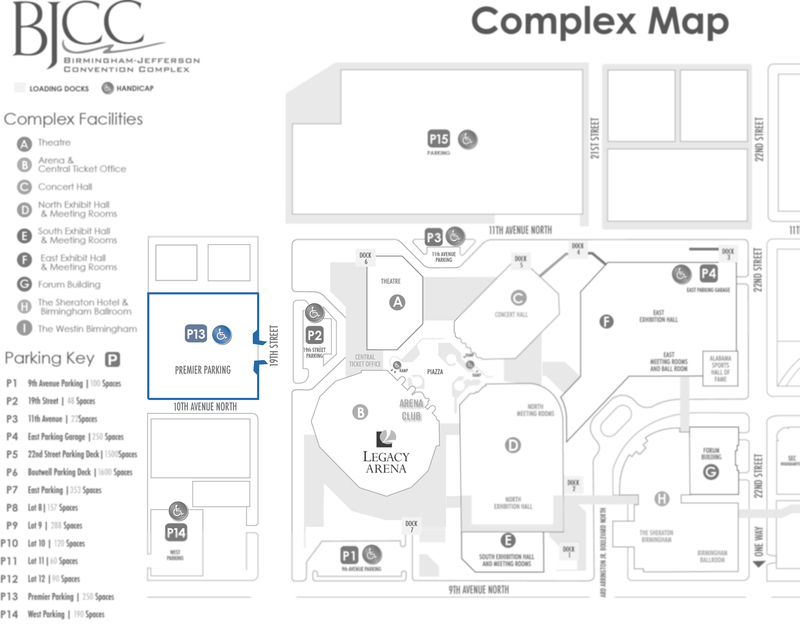 BJCC Premier Parking is available for advance purchase for most events at Legacy Arena. The Premier Lot, P13 as indicated on the map below, is located at the corner of 19th Street North and 10th Avenue North across from the facility. The entrance may be accessed from 19th Street North. Parking passes may be purchased in advanced through Ticketmaster or the Central Ticket Office for events at Legacy Arena only. Availability is limited so make sure to secure your space early! Running late? We will hold your space! Click Here for a downloadable map.